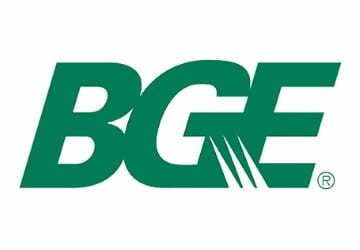 BGE says it is is closely monitoring weather forecasts and has fully mobilized to respond to the effects of a nor’easter moving through the mid-Atlantic region Tuesday and Wednesday. The forecast calls for mixed precipitation ranging from rain to heavy, wet snow. Of concern is the potential for sleet, ice, and heavy, wet snow accumulation on trees and power lines. BGE has mobilized field and support personnel, including tree crews, to be ready to respond to any potential service interruptions that may be caused by the storm. In addition to BGE’s 3,200 employees, contractors from BGE’s Exelon sister utility ComEd in Illinois have been dispatched to assist in the mid-Atlantic if needed. BGE asks all customers, including those with smart meters, to report their outage. Outages may be reported online at BGE.com and via BGE’s free mobile app available at the Apple Store or Google Play. Customers may also report outages and downed wires by calling 877-778-2222, on BGE.com and through mobile devices. Customers can find information on preparing for winter weather and other emergency events at the storm center on BGE.com, as well as storm preparation information and restoration progress via BGE’s social media sites Twitter and Facebook. BGE’s says its restoration priorities are public safety issues and critical facilities, such as 911 centers, hospitals and pumping stations. Then restoration is generally scheduled so that the greatest number of customers can be restored as quickly and as safely as possible. However, in cases of extended power outages, consideration is also given to customers who have been without service for the longest. Clearing fallen tree debris and icy, snowy roads, can be factors in restoration progress. BGE requests that customers identify the location of outside utility equipment such as natural gas or electric meters that could be covered in snow and may be susceptible to damage from snow shovels and mechanized snow removal equipment. Please keep outside meters clear of ice and snow. Use a broom or brush to gently clear the area around the meter of anything blocking it, including debris, ice and snow. Do not melt ice or snow on meters with a heat source, and do not chip or scrape ice. These methods can damage or break the meter. It is also important to remove icicles that hang over the meter and can drip freezing water that may damage equipment.